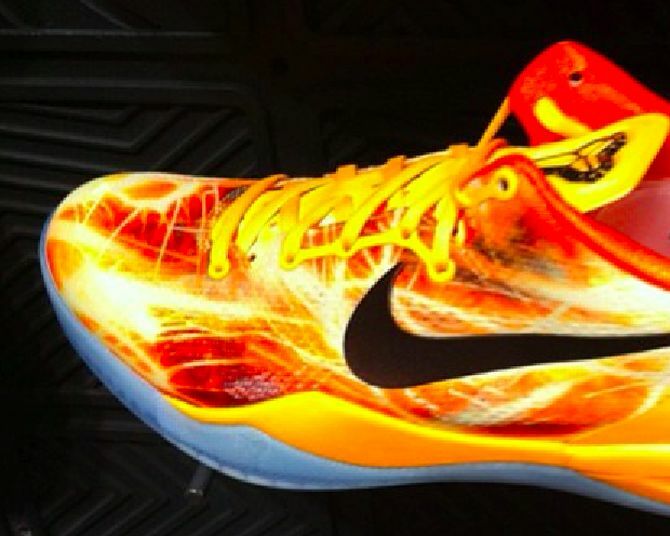 Nike Zoom Kobe 8 "Spark"
The Nike Zoom Kobe 8 series is far from over and one of the most recent colorways proves that we haven’t seen the line at its fullest potential. 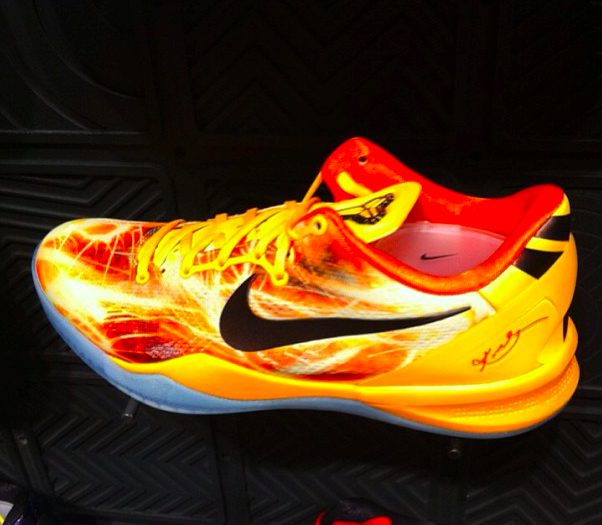 Spotted by johnnyp2k12 at a local Nike Store in Shanghai, These Nike Zoom Kobe 8’s feature a Yellow and Orange upper with Spark like imagery guaranteed to break necks on court. 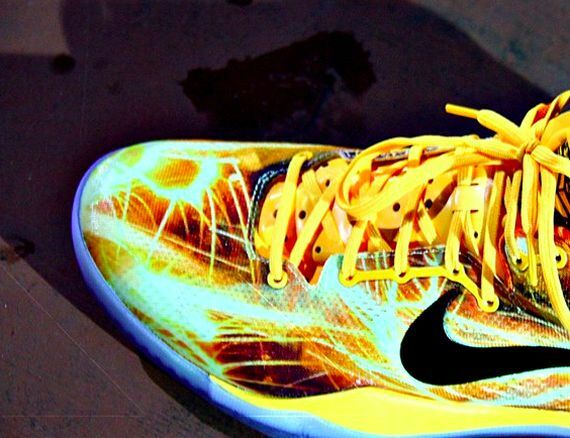 Could these be the next Bruce Lee joints? 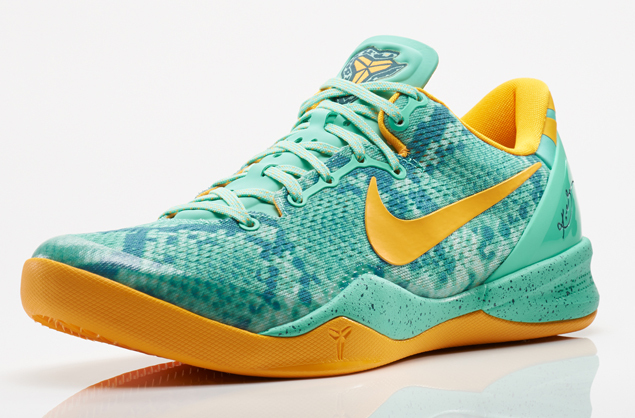 Let us know your thoughts on these K0be 8’s. nice…milk snakes are better IMO!! love the cw!!! Fire or should I say sparks. Sorry couldn’t resist the terrible pun.